This ceremony is performed in the month after annual Brahmotsavam on the asterism of Sravanam. Ankurarpanam is done prior to the Pushpayagam. On this day morning after the daily pujas, Sri Malayappa Swami along with Sridevi and Bhudevi are seated. 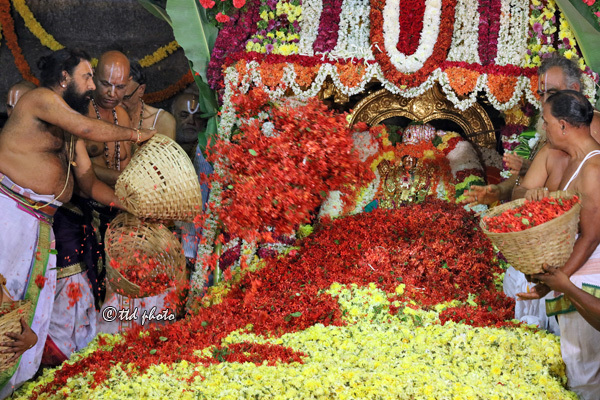 After offering Tirumanjanam to the utsava murtis worshop is done to them with a large variey of flowers. provvession takes place in the evening.